Women who are planning a pregnancy or might become pregnant, or who are already pregnant, should also take a Folic acid supplement along with a Vitamin D supplement. Methylfolate is the predominant Folate found in food such as leafy green vegetables and is a form that can be used directly by the body. This is a natural Folate and very different in structure and function from isolated folic acid, the most commonly sold supplemental form, which does not occur naturally in foods. 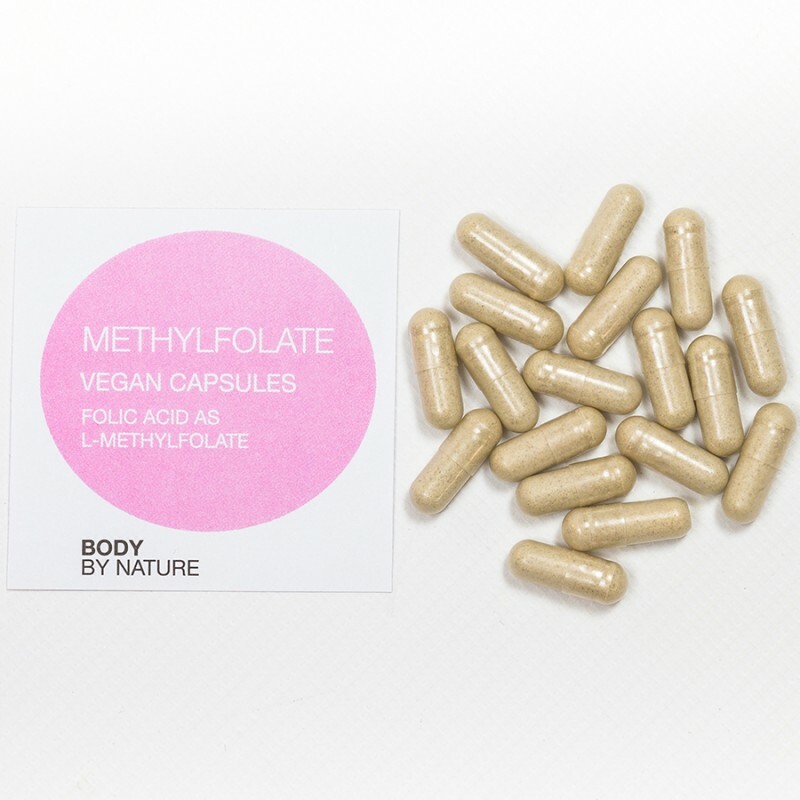 If our metabolism is working correctly folic acid is converted to methylfolate, (a wholly safe and beneficial nutrient) by our body. But often this process is not efficient and unmetabolised folic acid, which is not necessarily beneficial, remains in the body. Food is the major source of Folates. However in a large percentage of the population Folate intake from food is insufficient for health. An adequate intake of Folate is essential for the prevention of many disorders such as anaemia neural tube defects, various forms of cardiovascular disease, Alzheimer’s, colon cancer and depression. As Methylfolate is the most natural, stable, safe and bioeffective form of Folate (Folic Acid) it is ideal as a supplement for pregnant women and women planning pregnancy. Particularly in accordance with the recommendations of the UK Department of Health. Capsule shell (vegetable cellulose), L-methyfolate combined with alfalfa. 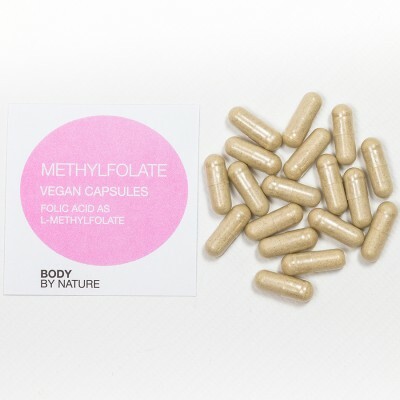 L-methylfolate is the most stable, safe and bioeffective form of folate. Folate contributes to normal maternal tissue growth during pregnancy, normal function of the immune system and normal blood formation. Yeast, wheat; starch, gluten; lactose; soy; added sugars, colourings, flavourings & preservatives.